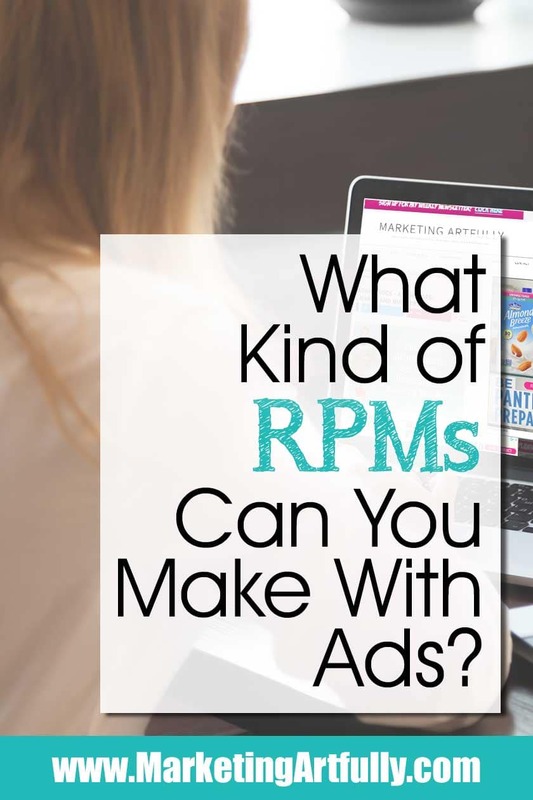 If you are thinking about having ads on your site, I am sure you have heard about RPM (revenue per thousand views) and may be wondering how much you could make on your traffic. When I was thinking about doing ads I kept looking for real numbers, but all I heard was, “it depends on your site” which was not all that helpful! 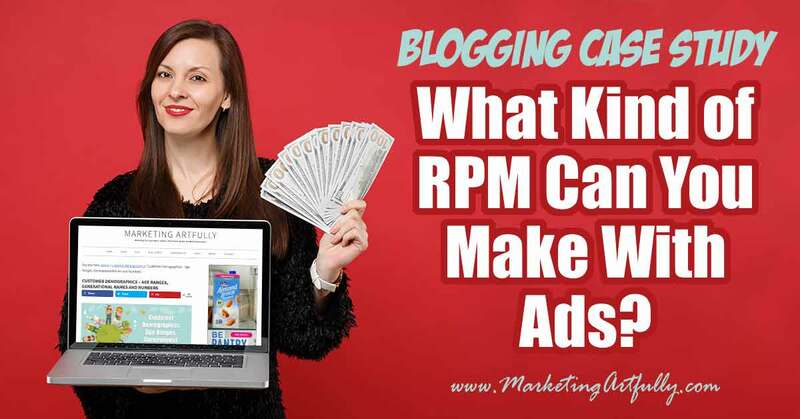 Here are my tips and ideas for understanding how much RPM you could earn by adding ads to your website or blog. Session RPMs which means each visitor that comes to your site and sees your ads. Pageview RPMs which is based on how many pages they visit and how many ads they see. Generally your RPMs will be higher for session views and lower for pageviews. This is because the RPMs are lower for those second and third ad views on the subsequent pageviews. If your bounce rate is super high (people generally just come to one page and leave) then your Session and your Pageview RPMs will be close together. If your readers visit a lot of pages each visit that spread could be higher. I am not an ad guru, I am a simple blogger who isn’t even good at math. So I will let someone who understands how this works (Eric, the CEO of my ad company, Mediavine). I am a huge fan girl of Mediavine and all the peeps over there and reached out to a gal there to make sure they were okay with me sharing my RPMs publicly. She said for sure, but that it really won’t make a difference to YOU, because everyone’s RPM would be different anyways. 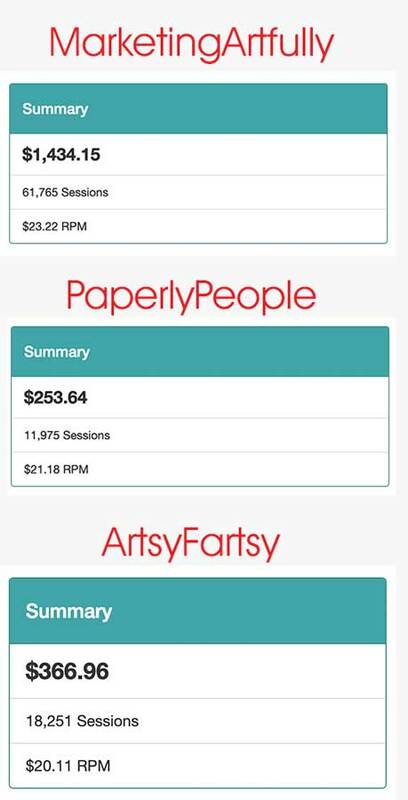 I totally get that, but I also knew that I was super curious about this before I got started so I thought you might like to see my RPMs on my 3 different sites! Two of my sites are very similar, both B2B (business to business) and talk about time management, planning and Etsy marketing. My big site (this one) also talks about marketing for Real Estate Agents, Writers and general Entrepreneurs. Mostly I set up the second site to try things that I was afraid to do on my “main site”. My third site is really different. It is a B2C (business to consumer) website where I talk about natural living, essential oils, creativity and caregiving for dementia. I set up this site to help me have fun and cope with different stressors in my life (I cope by blogging and trying new marketing things!) Note: It takes 25K views to join Mediavine, but subsequent sites can have lower traffic and still get in! So this is the start of where ad companies say that “every site is different”. I don’t understand why I don’t get more traffic to my Paperly People site, beyond the fact that I don’t L-O-V-E it the way I do the other two. My average time on page are similar because I write LONG posts since I have a lot to say about any topic and am a bossy pants. All three have SSL, I just took the dates out of my main site and am republishing old, successful content slowly and all are on the same hosting with caching and image compression, so beside age of the domain and number of backlink, they should be similar. BUT THEY AREN’T similar at all! Here are my traffic sources for the last 30 days…. The funny thing is that A LOT of Pinterest traffic to my one site, would only be about 25% of traffic on another site. 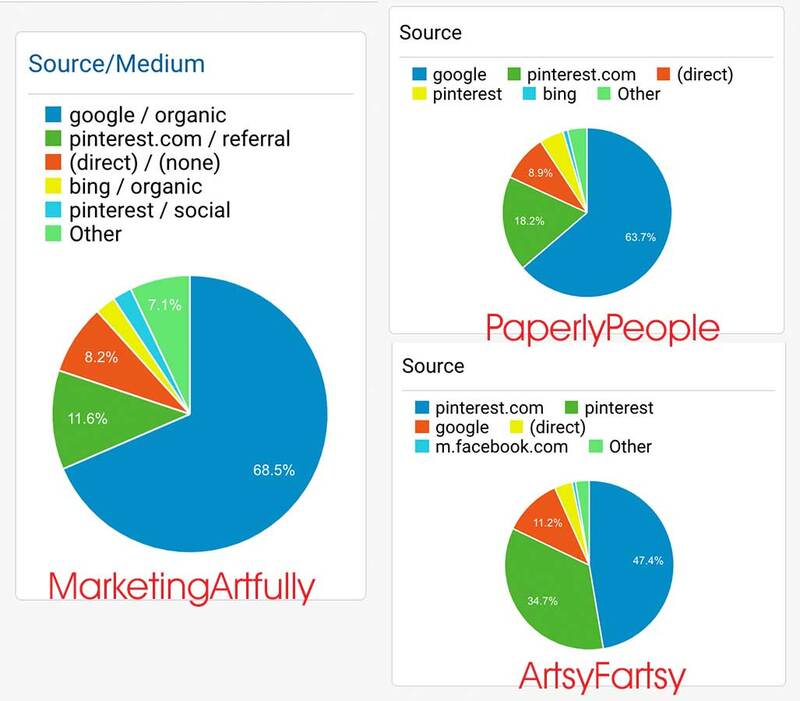 Why do my traffic sources matter? There is some thought that Pinterest traffic can be less engaged than Google traffic because they were searching for that exact thing rather than dinking around. On my site though, there is more engagement (more than two pages visited by Pinterest traffic) and the bounce rate is lower. I KNOW I said I wasn’t mathy, but I took a course and they showed me how to set all this up in my analytics so I could see this kind of data! But what does that have to do with RPMs?!?! I have told you ALL of this before showing you my RPMs because the ad people are right!!! Seeing my RPMs won’t be a good predictor of what you will make… they aren’t even a good predictor of what I will make on my different sites. Not to mention that RPMs fluctuate throughout the year! And you want to know something fun? I am making MORE money now than I did in the last Quarter 4 when all the Mommy Bloggers and and Food Bloggers were raking it in. That is because my traffic drops like a stone on my B2B blogs after Thanksgiving as my business peeps check out for the year, even though RPMs were higher in the 4th quarter as companies were spending out their ad budgets. What RPM Can You Make? What I can tell you is working with Mediavine has changed my life. Now my “job” is to write blog posts which I LOVE to do! Before I was trying to cobble together some products and affiliate links (I still do these) but there was no consistent, recurring revenue that I could count on to be the base of my income. Instead I was doing client work which I HATE! So if you have at least 25K hits a month apply to Mediavine (or another ad network) and see if it changes your life too!